From time to time I read something that doesn’t seem to fit (for me, at any rate) into any traditional genre classification. Such was the case with The Junk Yard Solution: Adventures Among the Boxcars and Other Lost Causes by Peter Kelton. The story opens with the discovery of Loretta’s body hanging from a cell phone tower in the middle of a village made up of abandoned railroad boxcars, populated by a cast of characters one might classify as “misfits.” The boxcars are as uniquely finished and decorated as the personalities that inhabit them. Each of those personalities exhibits its own unusual idiosyncrasies, as does the Federal Marshal, Rick Senate, who investigates Loretta’s death. Throughout the journey to discover Loretta’s killer, the reader is taken along on a series of adventures as parts of the villagers’ past stories are presented. The various characters’ lives generally include some details as to how each has been in touch with—or has come within only a couple degrees of separation from—some famous person or event. Those in this odd and entertaining group share two things in common: their dislike of digital life, and their desire to discover who is responsible for Loretta’s murder. Together, these factors make for an interesting afternoon of reading. The Junk Yard Solution: Adventures Among the Boxcars and Other Lost Causes by Peter Kelton is a wacky murder mystery. Welcome to The Junk Yard, a place of the forgotten boxcars, a place off the grid, away from automation. Living within the abandoned boxcars is a group of eccentric loners, each one with a unique story. The residents choose to live in the past, attempting to escape something hidden in their own lives. 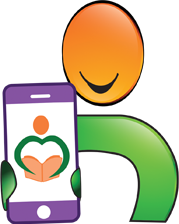 When a cell phone tower is placed in the middle of their community, the free-spirited Loretta becomes upset. She works diligently to have it removed. However, Loretta’s exploits get her killed. She is found hanged from the very tower she despised. The murder investigation stirs up the community. The search for Loretta’s killer brings everyone’s past into the present. Intellectually bizarre. Preposterous and intriguing. Peter Kelton’s The Junk Yard Solution is a literary collage of varying literature, histories, cultures and ideologies. The setting is out of the ordinary; it has to be to host the cast of oddly intertwined characters. 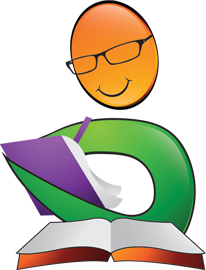 Chapters flow back and forth in time, full of intricately detailed descriptions and rare tidbits of information and well-penned lines (i.e. “The two appeared befuddled in a fog of non-direction”). A few chapters stretch beyond the bizarre into the realm of the ludicrous and then travel on to somewhere completely unfathomable. Although the narrative is a murder mystery, it is not suspense or intrigue that drives the plot. It is the characterization that steals the show. The menagerie of characters chooses to live in the past. They are ostentatious with whimsical antics and lifestyles. Their individual stories are written within the story, bringing them together to one place – The Junk Yard. The Junk Yard Solution is a technologically satirical narrative with a touch of literary magic. Full of extremes, you will either hate it or love it. I find myself somewhere in between. 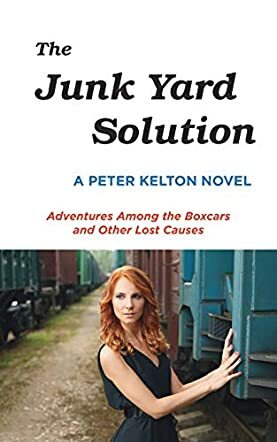 The Junk Yard Solution: Adventures Among the Boxcars and Other Lost Causes is an amusing and intriguing work of literary fiction penned by author Peter Kelton. A comedic and adventurous mystery, written in the traditional literary style, the action begins in our own time and place, where the world is consumed by smart technology and instantaneous information. In Lebanon, Kansas, one small group revolts in their own private way, living off the grid in the middle of a junk yard where they can escape the digital life. But everything goes south when protester Loretta does not return from her latest stunt, and is found dead, hanging from the very tower she was intent on destroying. For a literary work, author Peter Kelton presents a nice balance of quality versus length, making this a reasonably quick read that still satisfies the reader with its level of detail and intricacies in the plot. Modern day tensions of rich versus poor are coupled with cultural clashes and the digital age to create a really interesting mix of issues to discuss, making for a plot driven tale sure to satisfy fans of satirical and amusing modern mysteries. 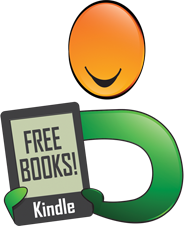 The characters are well drawn enough to follow for the plot, though not deeply engaged with the reader, making the sometimes bizarre twists of the tale all the more believable and humorous. Overall, I would definitely recommend The Junk Yard Solution: Adventures Among the Boxcars and Other Lost Causes as an entertaining introduction to the unique style of this author. Everyone loved Loretta, the glue that held this community together. The Junk Yard Solution by Peter Kelton unravels the mystery behind who hanged this young woman from the communications tower. Lebanon, Kansas, may be the center of the 48 states but this graveyard for forgotten boxcars and railroad tracks is a refuge for awkward and bizarre individuals. There was just one rule: no cell phones. A cell tower put amid their homes was very insulting and went against everything they stood for. Only Loretta had the initiative to negotiate its removal, so Marshal Rick Senate must find out if this was the key to her death. Finding answers was difficult when a few of the residents lived in the past mentally. Then there was the question of other crimes these villagers were hiding from him. Peter Kelton takes the small town of Lebanon, Kansas, and spins a mystery around this unique community. There did not seem to be anyone physically strong enough or mentally capable to commit the crime of killing this girl, then hanging her on the cell tower. The marshal slowly works around the citizens as he questions everyone. 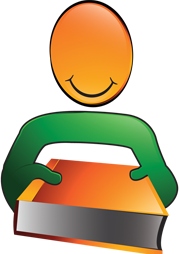 The Junk Yard Solution is narrated by a citizen and a highly self-righteous man, Cicero. I would love to see a community made up of discarded boxcars and the interesting people it would attract, much like this novel. The characters were a bit crazy. They all had their own reasons for this secluded lifestyle, but I really enjoyed the Chocolate Lady. The distinct personality of each character reveals the research and exceptional thought the author put into this mysterious novel. Peter Kelton’s The Junk Yard Solution starts with a young woman found hanged from the cell tower in a village that covers more than a square mile near Lebanon, Kansas, a village mostly untouched by the advancing technology of our age. Loretta was known to be meticulous in a flighty way, the glue that held the “Junk Yard”, a name the village is affectionately called, together. The residents live in boxcars and have one rule: no cell phones. Before Loretta was killed, a cell tower was built by Cheyenne Native Americans, towering over the village, and the lovely Loretta campaigned to tear it down. Now, a Marshall Senate comes knocking on the village doors to find out what happened and he is somehow pulled into the lives and many strange tales told by the equally peculiar residents of the junk yard. I opened the first pages of Peter Kelton’s The Junk Yard Solution to the mystery of Loretta’s death and I continued to flip the pages, not only because I want to know what happened to her, but also because I was captivated by the many stories woven around her and of the people in the “junk yard”. The book gives an insight not only into the life of Loretta before her death but also her relationships to the people there and how everyone came to know everyone else in their small town. It is a unique story that had me hooked in the opening and dragged me through its pages, a willing spectator, unable to get enough. I found myself remembering every story of the Junk Yard’s residents even pages into the book because they stand out so much, each eccentric in their own way, despite or because they live in a place with only one rule: no cell phones. Even though they are cut off from most, if not all, technological advancements, the tales of the residents, the stories they tell, and the daily happenings in Junk Yard were more than enough to hold my interest. I can see where they are coming from, in this day and age. People of today are defined by their gadgets and social media accounts, but these people who lead interesting stories and contemplate strange ideas - even without the advancements now offered today - somehow seem to lead more fulfilling lives. I enjoyed the complexity and the individual personalities of every person in the story and the bizarre, fascinating way it has been written.